December is here and that means the annual London Body Odor & Halitosis Christmas Meetup is around the corner ... in Leicester Square. 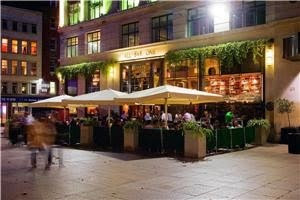 The meetup will be hosted by Arun Nagrath as always, and will start at the AllBarOne bar in Leicester Square from 12 noon onwards. A great time was had by all at last years body odor & halitosis xmas meetup. Everyone is welcome. London meetup 12 Dec : Are you going ? Enjoy the company of others who know exactly how you feel and let the Christmas season begin on a happy note.